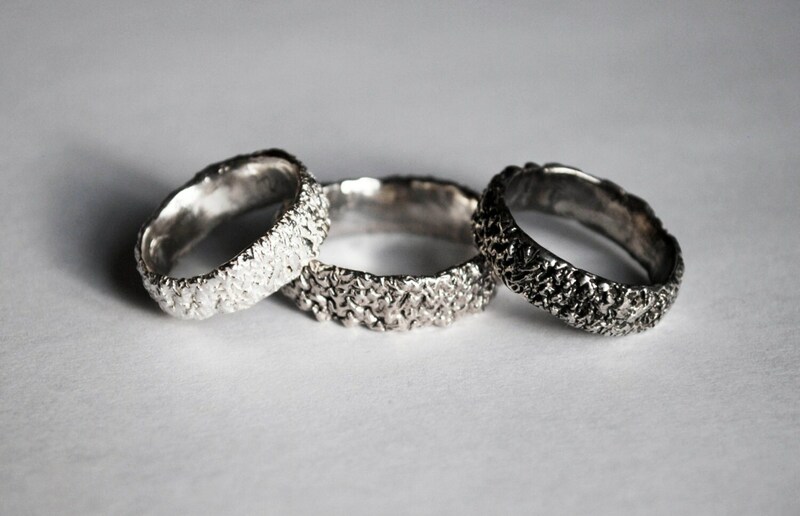 Prospect Park Sterling Silver Ring-Ready to Ship. This ring was made from the cap of a giant acorn (some type of Oak I think) found on the ground in Brooklyn's Prospect Park. 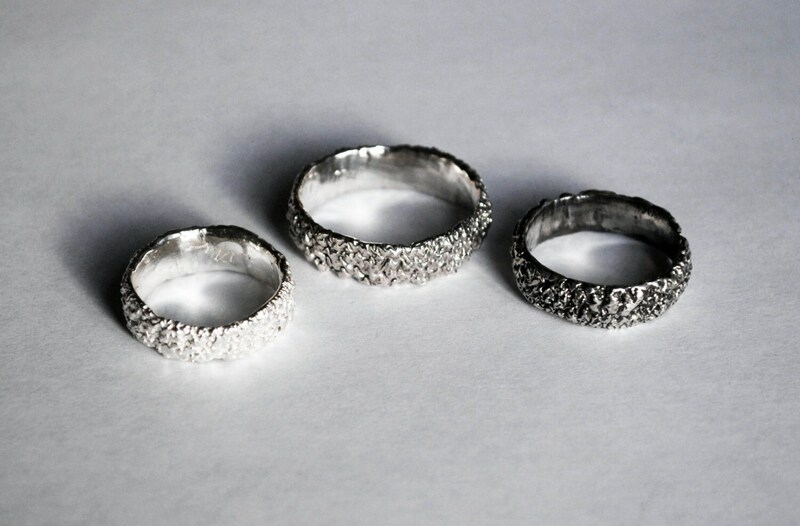 I thought the texture fascinating and imagined rings and necklaces the minute I picked it up. 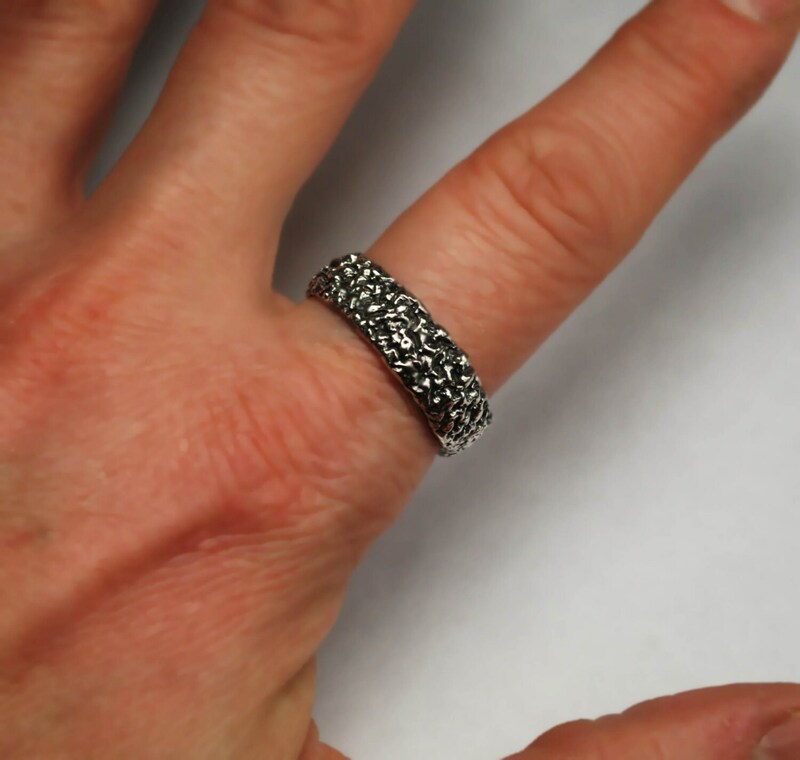 This unique ring is cast in solid sterling silver and the 2 available through this listing are prototypes. 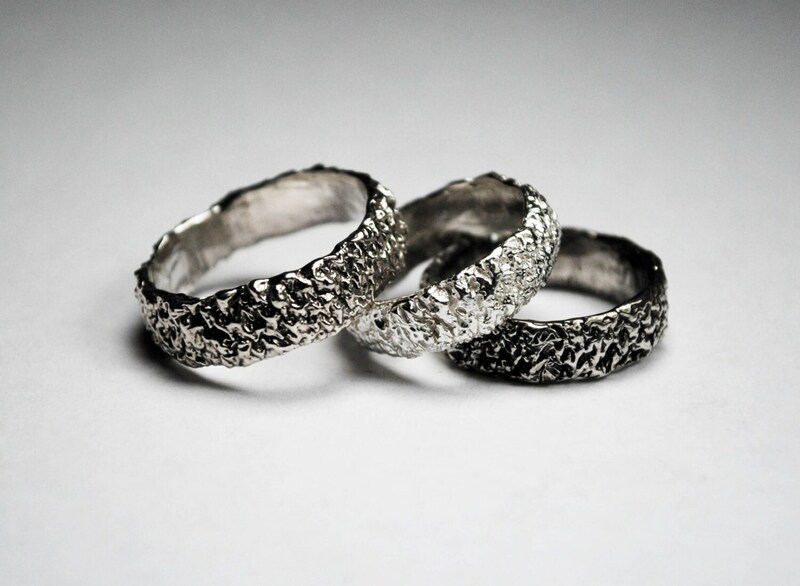 One is US size 8 w/white silver finish and the other is US size 12.5 w/oxidized finish. 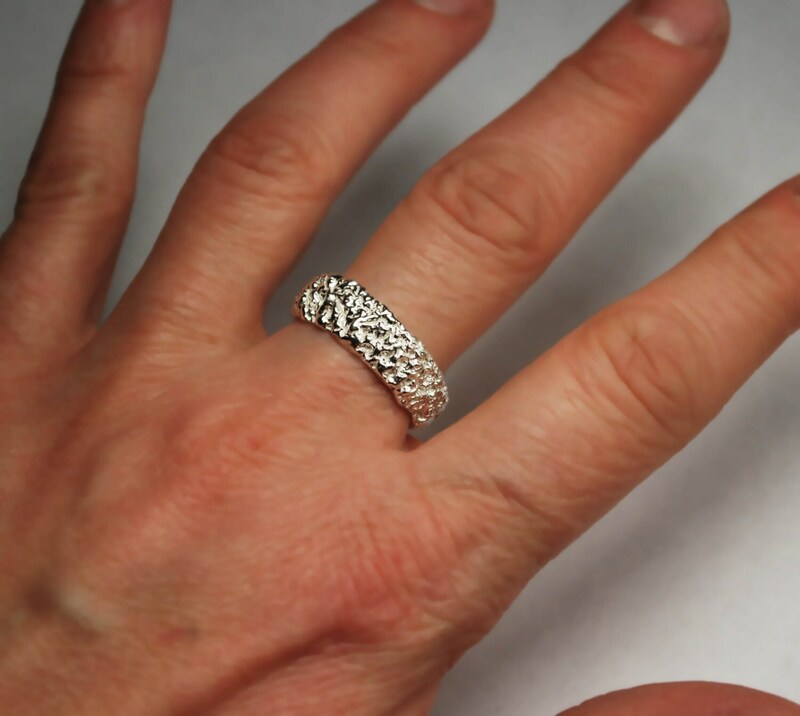 The ring is approximately 7mm wide and is quite comfortable despite its texture.